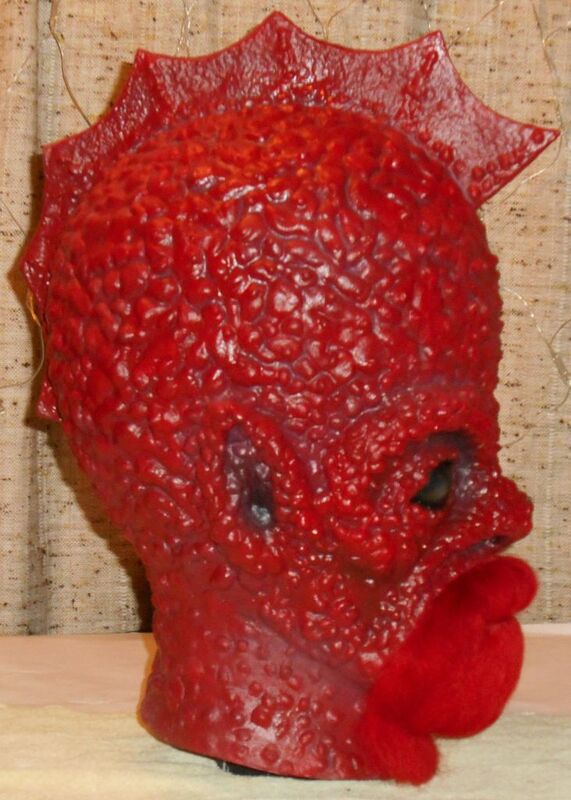 This is a super deluxe, VERY high quality lifesize prop monster head of LEMNOC, the crustaceous alien mad scientist from the "Phantom Family" episode of the classic TV series "Lost In Space". 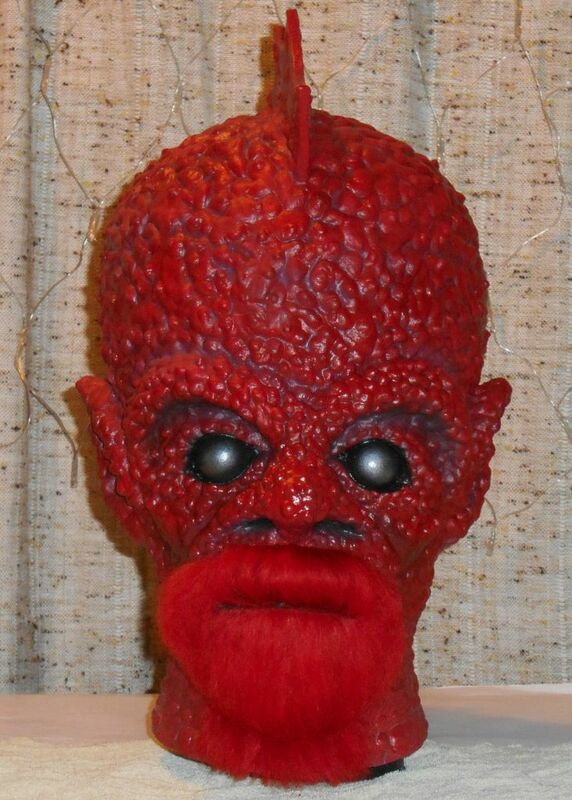 It's a large, slightly bigger than adult size mask, but since it is an uncut display prop (no holes have been trimmed for vision or ventilation), you couldn't actually wear it unless you cut the appropriate holes or slits in it. Thick, super sturdy latex casting, finished with a slightly oily-looking, red paint scheme, creepy silver/black eyes and a beautifully custom blended and hand-applied beard and mustache that really give him life. 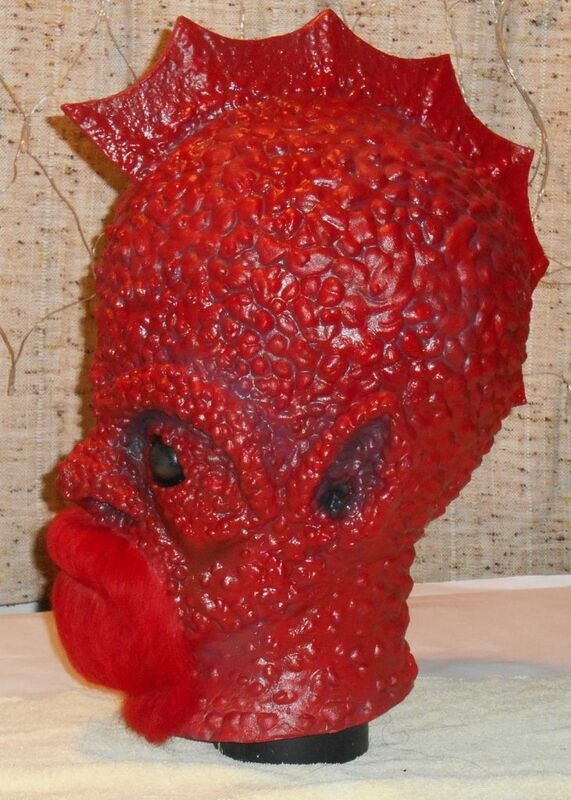 Fantastic addition to any mask or prop collection!